Rockstar and 2K Games this week unleashed the first DLC pack for Grand Theft Auto IV, named The Lost And Damned. The price is 1600p, or ~€19, going exclusively for Xbox 360. You'll find the First 10 Minutes in video form inside, while our impressions can be found here. I bought this and played a few missions but I've been very busy playing SF4 since (and a tiny bit of Noby Noby Boy and Death Tank). L&D seems very good too. The story seems more interesting to me than the Niko storyline. yeah its pretty good and worth the money if you ask me. Been on SFIV alot myself but i find some time to sneak in some Chopper vs Chopper on L&D.lol. great addition to GTA4...certainly worth the 10-13 quid. A new standard in game voice talents..really getting to hollyword values now. Like the improvements on the engine too.. not only does it look sharper but the framerates more solid. I buy this DLC and this happy by new aspect, new characters and new history. Only view a little problem, in Spanish the subtitles is very little. And the phrases that i lost or not understand, i can´t read good quick. I only wait the new GTA V with multiples lenguages by logical numbers of copies buyed or the number or sales. WOW. 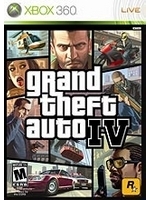 I need to play GTA4 now so I can get this. Played it for a few days then put it down and never picked it back up again. Very hard to play this game when you have 2 young kids in the house with you.